When you go to a supermarket to buy milk, you’ve probably noticed cartons of plant-based “milks” next to your usual milk cartons. These beverages, which may be made from soy, coconut or almonds, are geared towards people who avoid dairy for health or lifestyle reasons. Almond milk in particular is rising in popularity, accounting for two-thirds of US plant-based milk sales in 2014. It can replace dairy milk in everything from cereal and coffee to baking. There are even recipes to make your own almond milk at home with just a handful of almonds and water. What is in almond milk, and how well does it stack up to dairy? Almonds themselves are rich in nutrients, with 1.7 grams of protein per 100 grams (which is six times higher than dairy). Not only that, one serving of almonds contain 50% of the recommended daily intake of the antioxidant vitamin E, and 13% of the recommended daily intake of fibre. Almonds are relatively high in fat (4 grams per 100 grams, 14 times higher than dairy), but this fat content is mostly monounsaturated fats, which have been shown to lower cholesterol levels and help develop your cells. 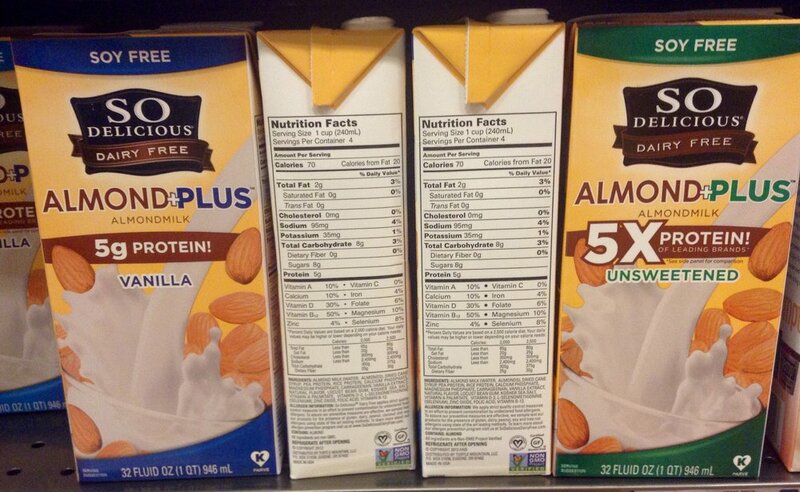 This all sounds like good news for almond milk. However, one of the product's earliest patents shows that almonds only make up about 8% of commercial almond milk. 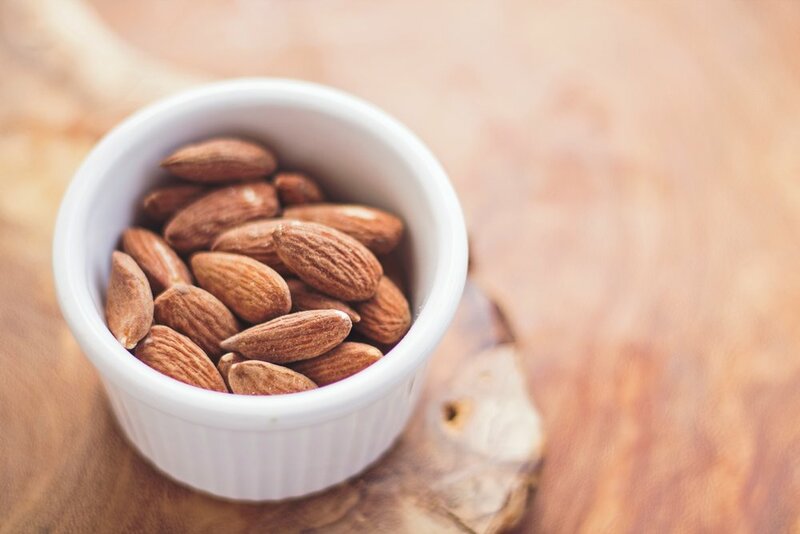 In 2015, a lawsuit was filed in New York against Blue Diamond, a supplier of almond milk, for misleading consumers about how many almonds were in their products. 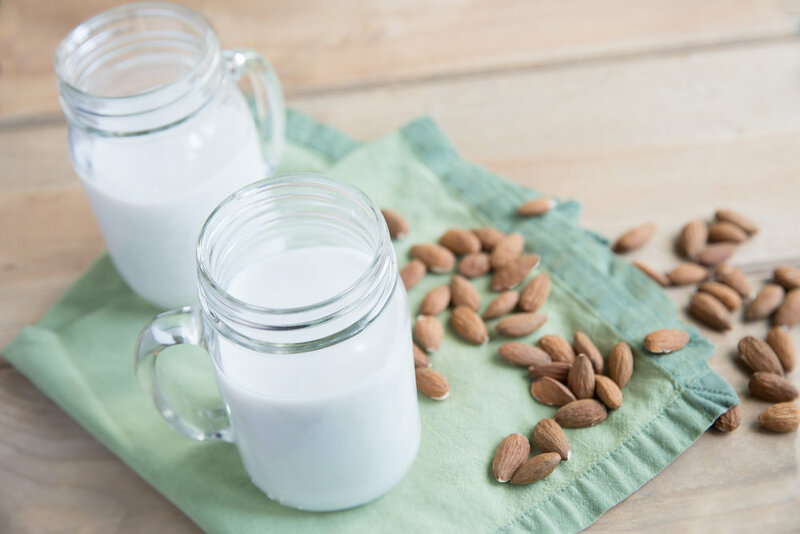 The lawsuit alleged that almonds only make up 2% of almond milk, which corresponds to about four almonds per cup of almond milk. While Inside Out, the largest producer of non-dairy milk in Australia, boasts a 11% almond content, most almond milk products fall within the 2-5% almond content range. The recommended serving size of almonds is 23 almonds, so you would have to drink almost six cups of almond milk to get the same benefits. To supplement the nutritional content of almond milk, a blend of vitamins and minerals are added to the mix. Commercial almond milk only contains 13% of the protein that dairy milk does, though it has 50% more calcium, partly due to this addition. However, this high calcium content doesn’t necessarily mean you get more calcium when you drink a glass of almond milk. Research has shown that fortifying a non-milk beverage with similar levels of vitamins and minerals as in dairy milk doesn’t guarantee that your body can absorb these added benefits, so you might not even get all the nutrients that were added to your milk. One nutrient that isn’t often added to almond milk is iodine. While dairy milk contributes up to half the recommended daily intake of iodine, most almond milk brands contain less than 10% the amount of iodine. This mineral is crucial for healthy thyroid function, which regulates the metabolism. Pregnant women in particular need to make sure they take in iodine from other food sources, like iodised salt or seafood, if they only drink almond milk, since iodine deficiency affects brain development of the fetus. If you scroll through health blog articles on almond milk, you’ll probably find articles declaring some ingredients in commercial almond milks as harmful or even poisonous. One such ingredient is carrageenan, the seaweed-based thickener commonly used as a vegan alternative to gelatin. However, research shows that carrageenan is safe for food use, and regulatory agencies such as the UN’s FAO/WHO joint committee have approved carrageenan for use in infant formula, which is the most highly-regulated food group, as recently as 2014. Another oft-contested ingredient is vitamin A palmitate, part of the vitamin and mineral blend added to make almond milk more nutritionally beneficial. Canada requires all dairy milks below 2% milkfat to be fortified with this vitamin because the process of skimming dairy removes some of the vitamin A that is naturally present in dairy. While excessive consumption of vitamin A has negative side effects, the amount contained in almond milk is so low that it wouldn’t affect consumers negatively. While the nutritional benefits of almond milk could be defended, its environmental impacts are a bit harder to swallow. More than 80% of the world’s almonds are grown in California, a state that suffers from frequent droughts. Not only that, almonds are in such high demand that the amount of land used to grow them has risen by almost 50% in the last 10 years. Furthermore, a single almond needs about 4 litres of water to grow to maturity, almost five times more than a soybean needs. This has forced the government to divert water away from rivers to almond farms, which has had a devastating impact on the native salmon population and the Native American tribes that rely on them as a food source. With all of this information in mind, is almond milk still a good bet for you? If you’re looking for a vegan milk replacement in your coffee or baked goods, almond milk is a strong contender in the market. If you’re looking for a source of protein, vitamins, or minerals, you might be better off eating handfuls of actual almonds. And if you’re worried about the environment and want a product that’s more sustainable? Maybe it’s time to consider switching to a different snack altogether.